Advocatus Atheist: Superman is OFFICIALLY as real as Jesus Christ! D.C. Comics recently hired real life Astrophysicist Neal deGrasse Tyson, director of the American Museum of Natural History's Hayden Planetarium in NYC, to designate a star to be the ideal location for Krypton, the planet Superman is from. 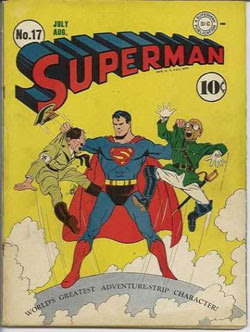 Tyson makes his cartoon debut in a cameo in Action Comics Superman #14, titled "Star Light, Star Bright." DC Entertainment co-publisher Dan DiDio is reported as saying, "Having Neil deGrasse Tyson in the book was one thing, but by applying real-world science to this story he has forever changed Superman's place in history. Now fans will be able to look up at the night's sky and say, 'That's where Superman was born.'" The location Neal deGrasee Tyson selected for the Kryptonian's home planet is LHS 2520, approximately 27.1 light-years from Earth in the southern constellation Corvus (The Crow). What tickles me about this combining of fiction with real life history, is that it reflects something I think those who are familiar with Christian history will recognize. Like Superman, Jesus of Nazareth is tied to history only by stories of him. The Gospels tell of Jesus doing good deeds and wonders. Well, we have Action Comics, detailing Superman's good deeds and wonders too! The only difference between them, the only thing Superman was officially lacking, was a geographical location to tether him to history. Jesus is from Nazareth, as you may recall. Well, Superman was from a place that didn't exist. Not so any more! Now, Krypton officially exists. What does this mean? Well, it means that Superman now shares exactly the same amount of historical evidence as the Gospel version of Jesus Christ. Read that last sentence again and let it sink in to get the full effect. Apologists might be quick to point out that Jesus was mentioned by the historian Josephus! So that proves he was more than a mere fiction. Well, that would be like me saying Larry Tye wrote an in-depth history of Superman, America's most enduring Hero. It doesn't make Superman any less fictional. Same with Jesus of Nazareth. Besides, all Josephus really wrote about was a religious sect calling themselves Christians who had a leader they referred to a "Christus." Josephus never confirmed whether or not this Christus was the Jesus Christ of the Gospel stories (most likely because the Gospels weren't even written yet), some other Christ figure (since Judaism was full of them), or just the religious ravings of a upstart cult (historically speaking, Christianity began as a heretical cult). Again, all we have are stories about Jesus. Apologists might try the tactic of attempting to tether Jesus to genuine history by making reference to those historical figures he interacted with in the Gospels. Claims along the lines of: unlike the Man of Steel, we know that Jesus existed because he interacted with real historical figures, such as Pontius Pilate and King Herod. I'm afraid that argument just won't do. 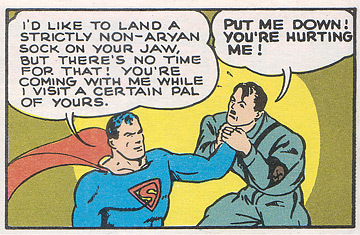 After all, Superman fought the Nazis. Heck, he even put the choke hold on Adolf Hitler! It's all extremely well documented. See for yourself. The fact of the matter is, it's as Skeptic Magazine editor Michael Shermer reminds us, you must have positive evidence in favor of your theory for it to be viable. Without positive, tangible, evidence you cannot test or confirm your theory. The thing is, what biblical historians and Christian scholars consider positive evidence for the existence of Jesus is mostly anecdotal. All we really have are stories about Superman... er... I mean Jesus. In my estimation it really does us no good to claim he actually existed minus the extemporaneous evidence (i.e., evidence outside of the Christian/Gospel accounts of him) that would convince the most ardent skeptic that he actually existed. 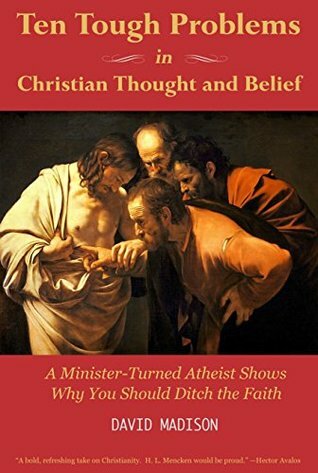 Granted there is some internal evidence that seems to suggest Jesus might have been real, but that's not enough to be convincing, only compelling. However, such convincing evidence is lacking, and although that doesn't rule out the possibility of a real historical Jesus having walked the Earth, it doesn't rule out what we do know: he has nothing in the way of proof to suggest he is any more historical than The Man of Steel. Until this hurdle can be overcome, to talk about Jesus as real can only be done so conceptually, just as avid comic book readers talk about their favorite characters as if they were real. If you're a Christian and you find this analogy offensive, it's not meant to be. It's just what it is. I am not intending to piss-off Christians by stating Jesus didn't exist. I can't know that for sure. Nobody can. But it seems to me, there just isn't any evidence to *positively claim that he did exist. 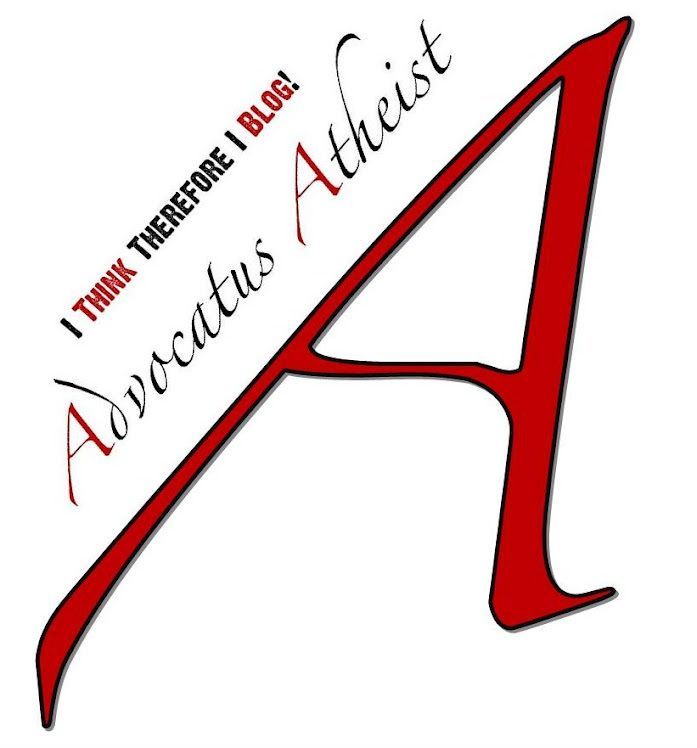 Assuming Jesus existed in reality is to formulate a belief based on... well... bad or insufficient evidence. It is precisely the nature of the available evidence which prevents the historicist's view of Jesus from being confirmed. It lacks the requisite positive evidence to validate that theory. It looks plausible, maybe even possible, but hey, Krypton exists in real life, haven't you hear? Anything is possible. I won't say the Mythicist view is any less problematic, as it relies far too heavily on negative evidence to validate itself. But it shouldn't be trivialized like so many are hellbent on doing. Why? Because without the positive evidence to confirm the the historicist's view the mythicist's view simply will never be completely overturned. It's a never ending battle--and a huge waste of time for anyone who even tries. 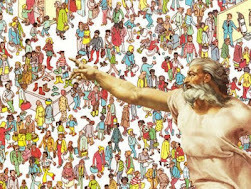 All considered, it seems to me, Jesus is a remnant of the popular literature of his day just as Superman is part of our popular literature today. Jesus certainly may have existed. But according to the confirmed existence of the planet Krypton, so might Superman. Oh well, that's biblical studies for you.